While poking around for more costumes to hide, I came across these tuxedos. They are, I believe, the uniforms for the top level in the Symphonic branch in the Music career. I don't play the Music career much (and the Symphonic one even less!) 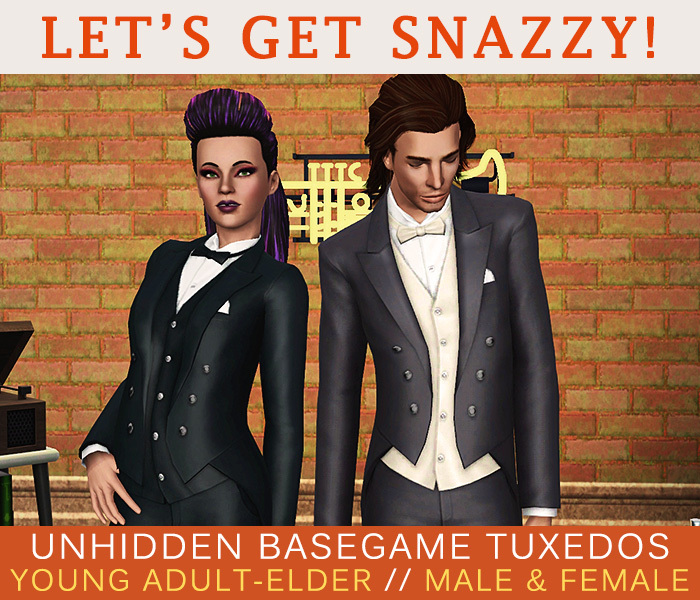 so I had no idea that there were two tuxedos available! 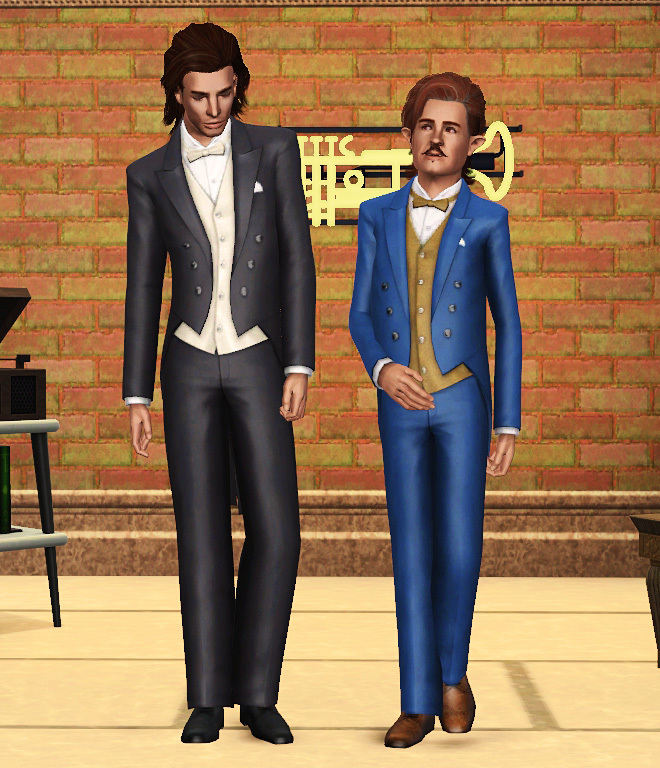 The weird part is that there are two versions of this tuxedo in the game files: a regular one, and an "unlocked" one, for each version. I assume the "unlocked" one refers to the career outfit, so I edited the other one; the career outfit is not affected by these changes. For Young Adult - Elder males and females. They were already in Everyday, Formal, Career, and Outerwear, and I also enabled them for Makeovers and Random. The only presets are the black ones. I recolored them for the previews so you can see them better. Credit for the poses goes to the lovely simsimi!